This follows years of steady decline in the island's suicide rates. Last year ended with a 29 percent increase in cases reported to Puerto Rico’s Department of Health compared to the previous year. According to their latest report, 253 people committed suicide last year in comparison with 196 in 2016 — the lowest rate in two decades. Although the island’s Department of Health has not done a comprehensive study to correlate the spike in suicide rates with Hurricane Maria, experts say that natural disasters have an impact on people’s mental health. “Previous literature shows, and this is in any part of the world, that during the first six months after a hurricane there’s an increase in mental health symptoms," said Glorisa Canino, director of the Behavioral Sciences Research Institute at the University of Puerto Rico. “With an increase in the prevalence of mental health issues, suicides also go up,” added Canino. 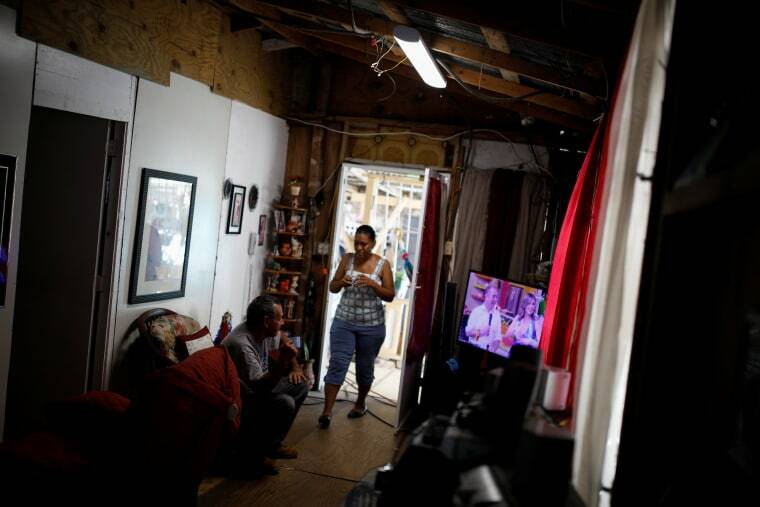 Florida-based therapist Janera Echevarría said that “even if you were unharmed and your house was OK, living an experience like this is emotionally traumatizing." At least 103 people have committed suicide in the aftermath of Hurricane Maria, which ravaged Puerto Rico on Sept. 20. That’s 14 more people than in the same period the year before. On the other hand, a spike in suicidal ideation, which includes thoughts of suicide, shows a marked increase. Over 5,000 people with suicidal ideation called Línea PAS, a government helpline, from September to January. Data on these calls remains low between the months of September and October because of the lack of phone service post-Hurricane Maria, but then once phone service was re-established the number of calls shot up. By contrast, the previous year saw about 3,000 calls to the hotline. According to Canino’s research, people in Puerto Rico tend to show less signs of depression and anxiety in comparison to people living in the United States. “When you adjust certain characteristics like unemployment and poverty, which are drastically higher on the island, you see that the rates of depression and anxiety are lower on the island,” Canino told NBC News. ”If you don’t standardize those, then of course your numbers are going to be higher because socioeconomic backgrounds tend to be correlated with high rates of mental health,” she said. Before Maria, Puerto Rico’s unemployment rate was at 10 percent and the poverty rate was 44 percent — two times higher than U.S. rates. Since then, many on the island have lost their jobs and have come to the U.S. in search of opportunities as the island struggles to regain normalcy five months after the hurricane. But many might not be able to overcome the trauma left behind. “People with no history of psychiatric disorder feel better after the six months, but people that do have a history tend to not recover,” Canino said.